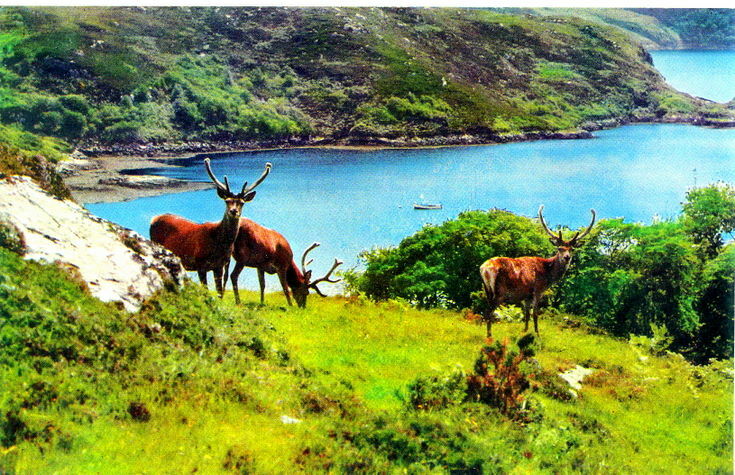 Colour postcard of stags on hillside beside loch at Kyle Sku. From an album containing a selection of postcards and photographs taken by Mrs J.I.C. Mackay.